Tributes have been pouring in since Norway’s popular downhill racer Aksel Lund Svindal finally announced his looming retirement last week. There was no doubt at all that Svindal will be missed and warmly remembered. At an age of 36, and after some spectacular spills and injuries in recent years, the retirement issue has been lurking in the background all season. He had remarked even before the season began that “at some point, you have to be sensible,” but then the racing got underway and soon he was winning again. By mid-December he had soared down the slopes to capture his 35th World Cup victory. And there he was, flashing his friendly smile and giving teammates much of the credit. The experienced veteran was still proud to be part of the “Attacking Vikings,” and gamely going along with all the appearances expected by sponsors. Inclusive, supportive, helpful, humble. Those are all words bandied about often when sports commentators write about Svindal and teammates talk about him. 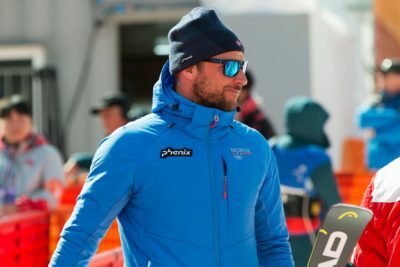 Svindal said he’ll now be concentrating on the championships at Åre, “that will be my last competition at the top level,” Svindal said. He wasn’t quite sure what will happen after that, “but I feel like I have plenty of time to figure that out,” he told news bureau NTB. “There’s nothing that demands a quick decision.” He’s already proven himself to be a successful businessman and investor, working closely with his father in a number of ventures from high tech to videoconferencing.